lament for a mixtape | Go Trixie Go! Once upon a time I had a mixtape I meant to take on my first trip to the UK in 1987. This tape was made with minute precision and great thought. I was about to embark on the The Trip to The UK I’d dreamed about since age 12 so I had to have the appropriate tunes. What would be the soundtrack to my arrival at Gatwick? A train ride through England to Scotland? And what would Belfast sound like? I pondered and erased for days. 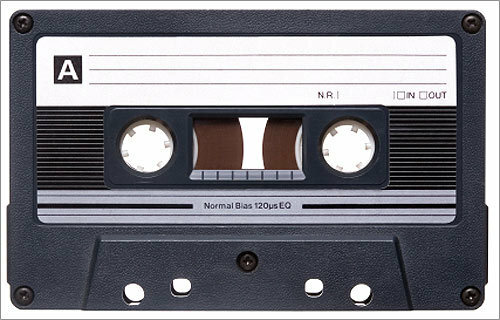 I even included a snippet from the radio of the request I’d made to the local vapid DJ at 2:00 a.m. the evening I made the tape. I told him I was going to London & Northern Ireland so he said I should look up Brigadoon while I was in Scotland. Ho-kay. The song I requested? Don’t Disturb This Groove by Someone Completely Forgettable. I recorded over it on the tape with “Seconds” by U2, which worked out Much Better. I was also going over to see the fella that would become my first husband so The Tape had that as “backstory”. So the date of departure finally arrived. I packed my clothes, my journal, my cassettes, made sure I had my walkman with The Tape for the plane and left with Ryk for the Orlando airport. Ryk wanted to hear what I’d come up with so we popped it into the deck in his car. Made for a great trip to the airport – a good thing since that’s as far as it got. I completely spaced out and left it in his cassette deck after he’d dropped me off. So…the soundtrack to the UK ended up being whatever was playing in the pubs: Mel & Kim, The Housemartins, Erasure and Lady In Red by Chris DeBurgh, that last being played every. damn. day. I’d pay money to never hear that song again. However, all was not totally lost: I had also packed Golden Age of Wireless by Thomas Dolby and a Depeche Mode compilation with “Leave In Silence” on it for the proper amount of dramatic angst and vision. When I got home and reclaimed The Tape, I treasured it for a long tme. I connected it with that magical first journey to what has ended up being my step-motherland. I carried that cassette around for over 10 years, before finally consigning it to Mixtape Heaven in one of the Sleepy Waters purges of the late 1990’s. I’d transcribed the track listing but alas…the mists of time have claimed it. Feel closer to me now, doncha? There will likely be more of this nonsense in future – you’ve been warned. Good lord The Housemartins. I thought I was the only person in the U.S. to have heard of them. Maybe the only one where I live in Dallas!